The healthcare industry has been battered by the staggering effects of the U.S. opioid crisis. According the U.S. Department of Health and Human Services (HHS), pharmaceutical companies in the late 1990s reassured the medical community that patients would not become addicted to opioid pain relievers. As a result, healthcare providers began to prescribe them much more liberally than before, which led to widespread misuse and the current crisis. It has since become apparent that opioids are highly addictive and incredibly damaging to the health of users. The Centers for Disease Control and Prevention found overdoses from opioids soared by nearly 30 percent between 2016 and 2017. In 2017, HHS declared a public health emergency. Companies like Walmart and CVS have implemented restrictions on how it will fill opioid medication prescriptions. 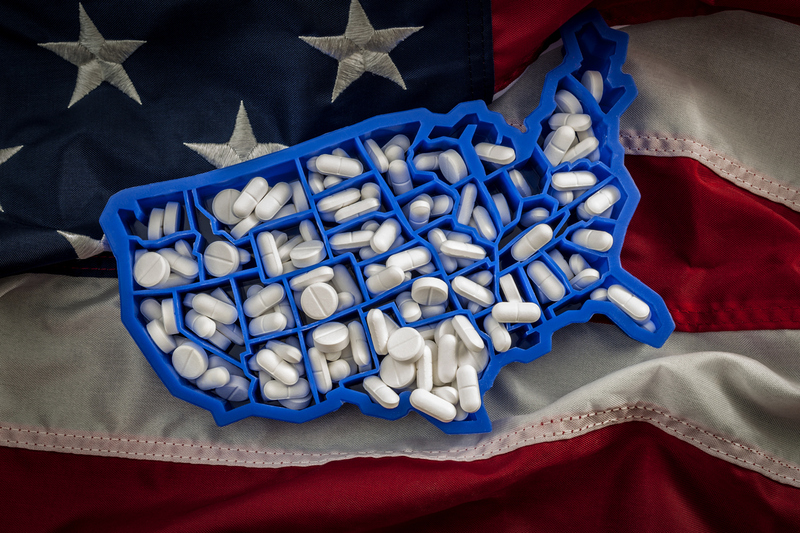 Last September, Congress passed The Opioid Crisis Response Act of 2018 to combat the nationwide opioid epidemic. The hope is that together the healthcare industry – both public and private entities – can stem the spread of opioid addiction, prevent overdoses and curb over-prescribing by doctors. Systems are being developed to help physicians monitor and better understand their patient’s opioid uses. Yet, the pharmacy is the final link in the chain of trust around dispensing opioids. In that setting, it is critical that organizations ensure that the person receiving the medication is the right individual and that proof of identity documents are valid and compliant with state and federal laws. The first step is to automate data entry for pharmacies dispensing opioids. Using technology like MedicScan® from Acuant allows data to be processed quickly and accurately. Patient information can be captured from an insurance card and government IDs to auto-populate in a matter of seconds, saving time and reducing the opportunity for errors. Next, the identity document should be authenticated and verified. Acuant’s patented technology extracts biometric and alphanumeric data contained in an identity document to authenticate it by applying 50+ forensic document-specific tests and utilizing the industry’s largest document library. Working in real time, AssureID eliminates manual screening errors, speeds up the document inspection process and significantly reducing employee training, operating costs and customer inconvenience. Hospitals and other healthcare providers can also engage in stronger patient ID verification to ensure that fraudulent IDs are not being used to obtain prescriptions, and that ID holders are indeed who they claim to be. This can be accomplished with quick and easy multi-factor authentication that validates an ID then engages biometric facial recognition match (Acuant FRM). With trusted identity solutions in place, the healthcare industry can reduce fraud and prescription drug misuse at the point of sale and in institutions. As public and private entities work together to solve the myriad issues underlying this epidemic, it is incumbent on all of us to bring forth solutions that address key factors in prescription drug process. Eliminating identity fraud and using identity to better track opioid usage is an important part of re-mediating this public health issue. To speak with Acuant about the use of identity solutions in healthcare settings, you can book time with here for an overview or meet us at the HIMSS Conference, taking place February 11-15 in Orlando, FL.